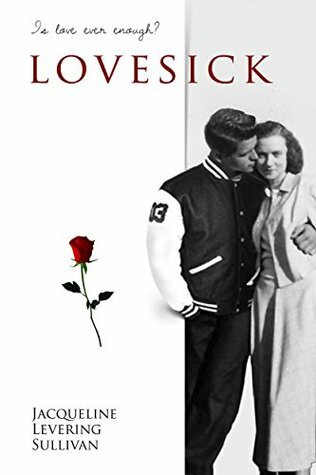 It is 1953 and Jeanmarie Dowd is crazy about handsome Chuck Neary, captain of Rainier High School’s hockey team and boy wonder musician. But he belongs to Terry Miller, her best friend, the school’s reigning beauty. But Jeanmarie has a few things going for her, too. She is smart, fun loving, and energetic with a wicked sense of humor. She accepts her role as Chuck’s chief confident, knowing it that might lead to betraying her best friend. She also must deal with her sister Iris, suspected of being a Communist. Can she be loyal to both her sister and Terry without betraying those she loves most? In a word: cute. This story is cute. In a Leave it to Beaver meets the Hallmark Movie Network kind of way. Is that a bad thing? Depends on if you’re into those things. I’m not, but I know people are. The story isn’t anything new. Nerdy Girl has a huge crush on her best friend’s boyfriend; the best friend is the Teen Beauty Queen and the boyfriend is the Hunky Dream – very stereotypical of any high school love story Disney Channel has every produced. To elaborate on that thought – this story had a very cookie cutter feel to it. I felt like I’d seen it before; I’d read it before. It didn’t surprise me or take me on any new turns. Did I still enjoy the book? Yes. Now Let’s talk about Jeanmarie, the “smart, fun loving, and energetic” girl who’s got “a wicked sense of humor.” I am a fan of protagonists that are witty, snarky, or sarcastic. Jeanmarie’s sense of humor felt…off. It felt like someone trying really hard to be funny. Yeah, it was funny for the first few chapters, but her constant – constant – attempts to be witty and funny got really old really fast. Her constant sense of humor disabled the story from going any deeper than her humor; the moments in which the story could have gone deeper or been more literary with it’s themes were buried under her G-rated teen-humor. I felt like I missed moments of heightened emotion moments because those emotional moments weren’t made clear – the tension wasn’t there – and then all of a sudden Jeanmarie is upset. She was too busy being funny and didn’t relate the tension of the scene to me (the reader). This story is very G rated. That’s not a bad thing, it’s just a thing. So, overall, Lovesick gets a 4 out of 5 from me. Despite it’s repetitive story line and characters, it was very readable. I enjoyed it. It was a cute, refreshing story about a girl learning to be human.